(with anothercolour of the font of the active Link from the navigation, or an underline, bolder font, ...). I previously have installed open cube menus and my pr has been reduced from 6 to 0 and i am still waiting to have it back. Will your menu have problems? and our customers use this code on there sites without any problems. As you can see Google doesn't penalize them. 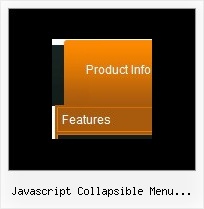 Q: I have one more question before I purchase alicense: is there a way to use images instead of text as the menu items? A: Yes, you can create image-based menu.